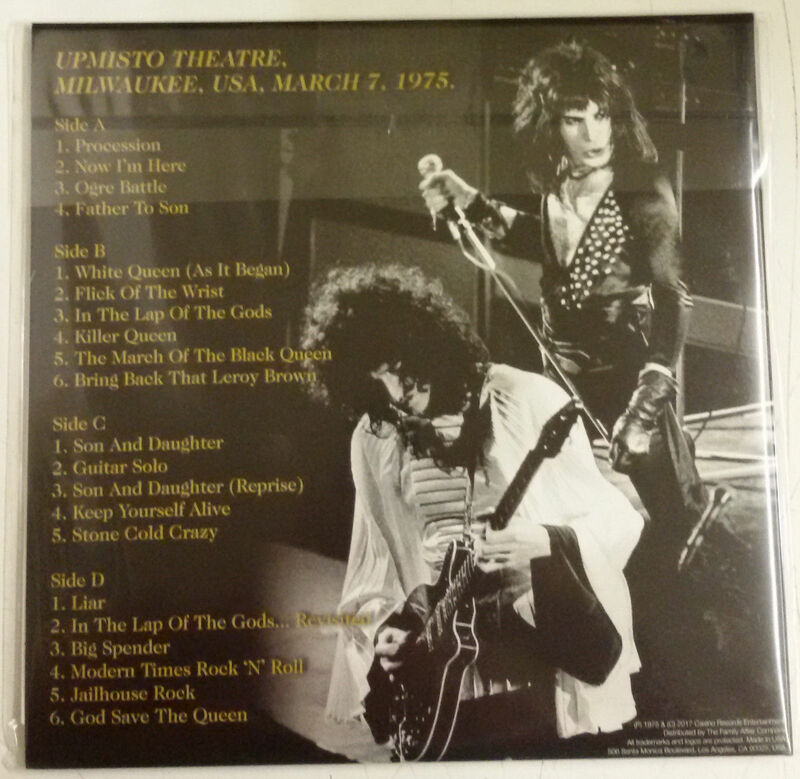 Recorded: Live at Upmisto Theatre, Milwaukee, USA, March 7, 1975. Comments: Actually a nice vinyl bootleg. Contain the full show from US 'Sheer Heart Attack Tour' in spring 1975. Sound quality is more than less excellent audience recording. 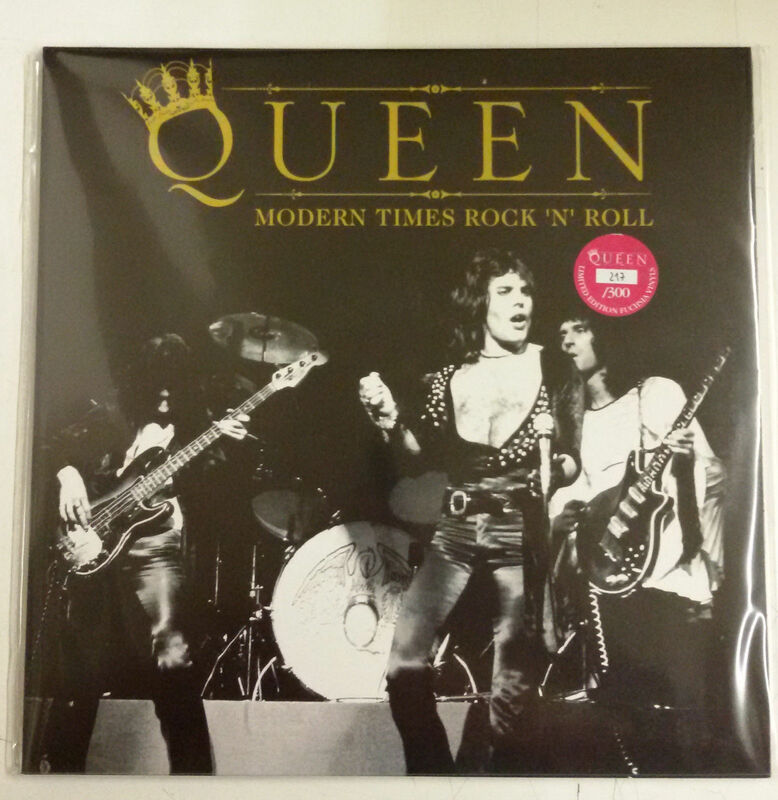 Also previously released on 1cd by 'Godfather' label in 2011. This 2lp has using the same cover design and title, as the 'Godfather' cd. I guess the cd audio has been used on this 2lp. Regardless, this is a very nice vinyl bootleg with a great early show. 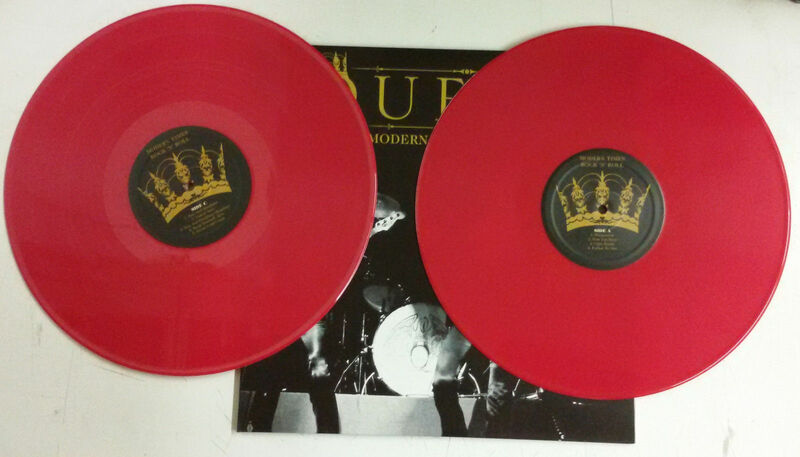 My version are on red vinyl. I'm not sure, if available on other color vinyl's. 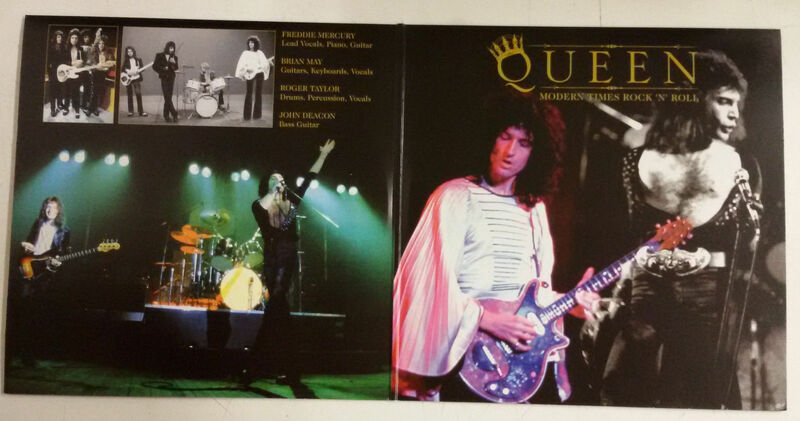 It's the same set list as the officially released cd, vinyl & DVD 'Live At The Rainbow', which Queen production released in 2014. Fantastic release that Rainbow album.